John Duff (Newmachar) won today’s North-east Alliance fixture at Ballater – his third win of the season - with a two under par 68. Duff birdied 1, 5, 12 and 18 and dropped shots at 2 and 3 to win by one shot from Joel Hopwood (Royal Aberdeen), Fergus Milne (Banchory) and Sean Lawrie (Paul Lawrie Golf Centre). 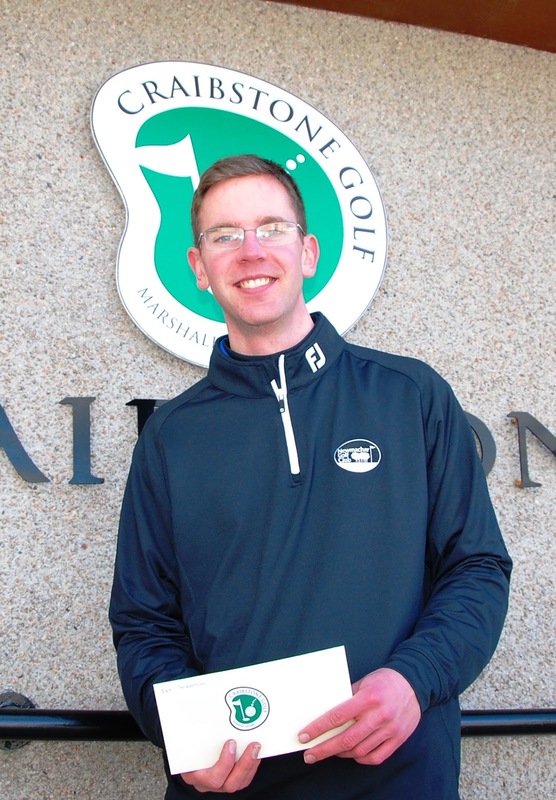 John Duff is pictured with his 2015-2016 scratch order of merit winning voucher. Today’s Class 1 handicap winner was Steve Scott (Hazlehead) who won on countback from Oldmeldrum’s Donny Adam – both shot nett 68s. In Class 2, Richard Denning (Inverurie) won for the second consecutive fixture with a nett 70. Please find today’s full prizewinners from both divisions, and today’s best scorecards, beneath the below full list of gross scores. Next week’s fixture will be played in four-balls, at Peterculter Golf Club.